Suitable age: one year to three years old. This activity was created by The Kavanaugh Report . 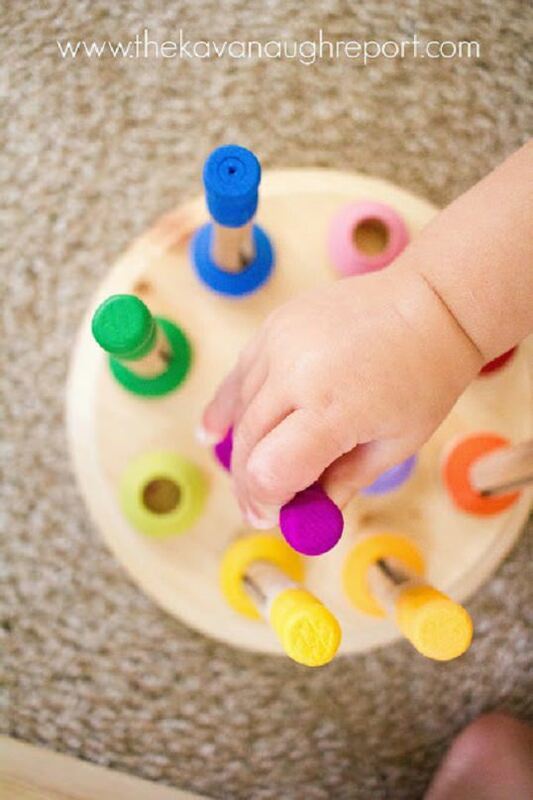 Pushing Popsicle Sticks Quick and easy Fine Motor Skills and Color Matching activity that challenge a variety of skills.